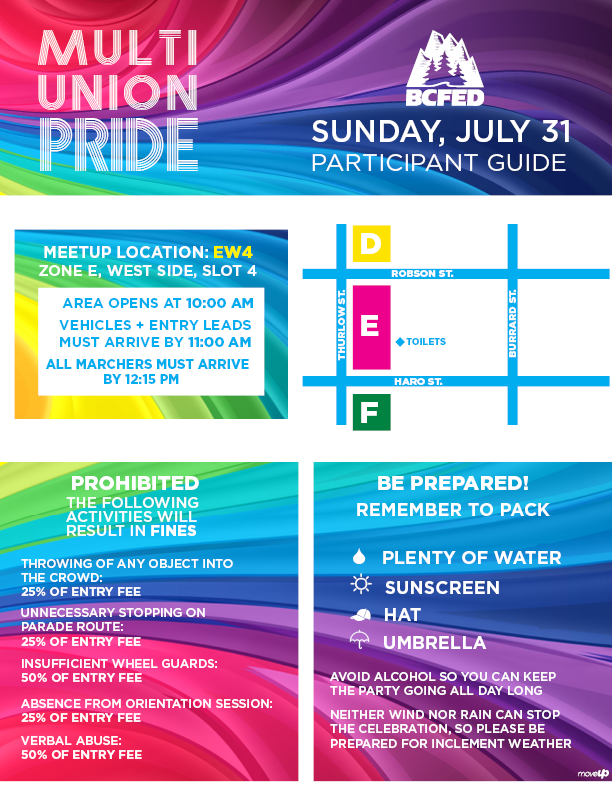 UBCP/ACTRA – Join us for Pride! March with UBCP/ACTRA, IATSE 891, IATSE 669, DGC and Teamsters 155 in the 2016 Pride Parade! Meet by 12:15 on Thurlow between Robson and Haro Streets. Look for the UBCP/ACTRA flags and the Union float. We will have t-shirts for the first 20 members to arrive and beads for everyone! Join us this Sunday!